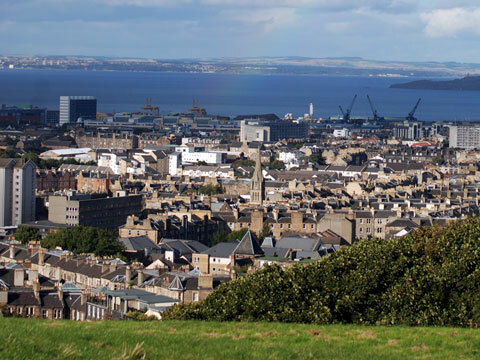 Edinburgh, capital of Scotland and home to the Scottish Parliament, is located on the Firth of Forth, a large, narrow estuary located on the country's east coast. The landscape of the city is extremely rugged, and much of it is perched on volcanic crags and rocky ridges. Both the Old and New Town districts have been named to UNESCO's World Heritage Site list. 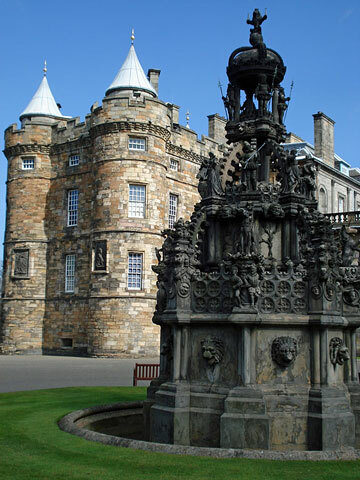 One side of the city is dominated by Edinburgh Castle, which hosts the majority of the city's festivals. The Old Town trails down the ridge from the castle. One of the most well known attractions in the Old Town is the Royal Mile, which stretches all the way from the castle to Holyrood Palace, once home to the kings and queens of Scotland and now considered the British monarch's official Scottish residence. The Royal Mile is full of market squares as well as many attractions, including Saint Giles Cathedral, the Royal Museum of Scotland, and McEwan Hall. The Old and New Town districts are divided by Princes Gardens, where you can find a fairgrounds, market stalls, ice skating, and other recreational pursuits. A response to overcrowding, the New Town district began as a series of grids around George Street, Princes Street, and Queen Street. However, throughout the years the planning became less structured. Today, the New Town represents one of the world's finest examples of Georgian architecture. 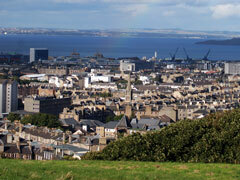 A stunning, panoramic view of the entire city can be found atop Arthur's Seat in Holyrood Park. 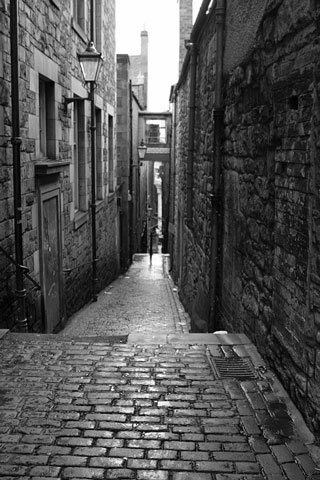 Edinburgh is located at about 55.94 degrees North (latitude) and 3.18 degrees East (longitude). For more information about Edinburgh, visit this official Edinburgh Travel Guide web page.